These are my liveblogged notes from a concurrent session with Arthur Kohn. 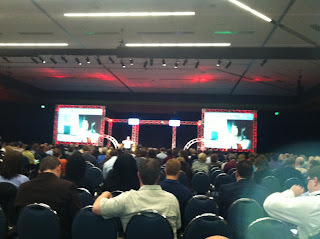 I'm at the ASTD Tech Knowledge 2013 Conference kicking off today January 29, 2013 in San Jose, California. Apologies for typos and incoherence. Primacy effect: the word that come first we remembered the most - it was the most rehearsed. You would think you encode a word. But what you encode in your brain is a representation of that word or connotations you have with that word. (e.g., if you heard the word switch, you have may have remembered the word light as a connotation of switch). There is no difference, biochemically, between a true memory and an implanted memory. It is incredibly easy to implant memories in people's minds. The constructed nature of memory. 1. Memory is Constructive. Our brains often invent our memories in creative ways. Take control over the content that you want your students to learn. Here are 40 facts you need to remember. As a teacher, that's your fault when the student doesn't remember, not the student's. Skinner: "if the pidgeon fails to behave like I think they will, the pidgeon is right and I'm wrong." Create context around random letters (he shows us FB INB AAN DIB MHI PPAO SHA and asks us to remember that. Much easier to remember if you see it as FBI NBA AND IBM HIPPA OSHA). "Chunking" - we can hold 7 independent facts, plus or minus two. But if I can enrich that content by combining things we can remember a lot more! The brain wants things chunked into whole stories. So what makes some information and some memories stick better than others? The brain is not best compared to a computer. It's a machine that helps us survive. It tries to tell stories to make sense of our environment. As trainers, it's simple stuff that makes it easier. Start with a rhetorical question "What do you feel is the best way to deal with a difficult person?" By challenging people to fill in the gaps -- they will remember better. This is so simple! 3. Memory can be unlimited. New information needs to be wrapped within meaningful shells. Video has more carrying capacity then text -- 100 words with lilt and tone and a face -- more richness than text. Create a world where human beings talk to each other. Synchronized transcript that you can review and highlight. Add rich context, emotionally laden, and interactive. How does visual information pass through your brain? Info that passes through left visual field goes to right brain; info through right visual field goes to left brain. 4. Memory is emotional. the brain attaches both cognitive and emotional tags to information. Your training will be more effective if you are unembarrassed about including emotion. Discussing love life is more interesting than talking about hair net. So how can you pull in training about hair nets to include your love life? We've got to give dignity to the content and the learners by developing engaging and meaningful content. Weave in every lesson you can using emotion -- it will stick for a much longer time. If you tell people where they are going ahead of time, you make a profound difference in recall. 6. Levels of processing affects memory. Author your materials in a way that forces learners to engage with the material in a deep and personal way. He asked us to look at a series of corporate logos. Half of us wrote down whether we thought it was a good or bad company (making it emotional); the other half were asked to evaluate the letters in the logos. THEN later he asks us to rmember teh logos (which was not our original task). Those who made an emotional evaluated remembered more logos. Both need to be practiced. If you encoded a book two weeks and now for the exam you re-read the book -- you're practicing the encoding part. But you're not practicing the retrieving part. Forgetting is not the failure of memory. forgetting is a process that the brain uses to reduce the amount of knowledge it has to maintain. The brain purges a LOT of info that it thinks is unimportant. So how do you tell the brain that something is important? How do you tag it? what specific events do you give to a person following training to make that training stick? No one learns from a single pass. Even if it's outstanding training, no one learns in a single pass. Find every way you can to give people the opportunity to recall your information. You'll be cueing their brain to remember this info -- that it's salient. The forgetting curve is brutal. Get this and you can convince your organization to touch the learner - 2 days, 2 weeks, 2 months. Today I presented a session at ASTD Tech Knowledge 2013. Here are my slides for your learning pleasure! These are my liveblogged notes from the day two keynote with @nickbolton. I'm at the ASTD Tech Knowledge 2013 Conference kicking off today January 29, 2013 in San Jose, California. Apologies for typos and incoherence. All our devices are increasingly becoming connected. 3 SCREENS: phone, computer, tv screens. Sensors as reporters – sensors in your phones – can they be used as resporters? It’s a generation that wants to CREATE. Everyone’s become a storyteller. We post updates and pictures, and links, and deals. People are developing a CONVERSATION. People in business have to be a part of this conversation. Gadgets on planes –Nick did research on whether or not devices really disrupt airplane communications. He wrote a bunch of stories on the FAA – and part of his job is to post on social media networks. Social media is the new printing press. It’s the way we share stories with each other. 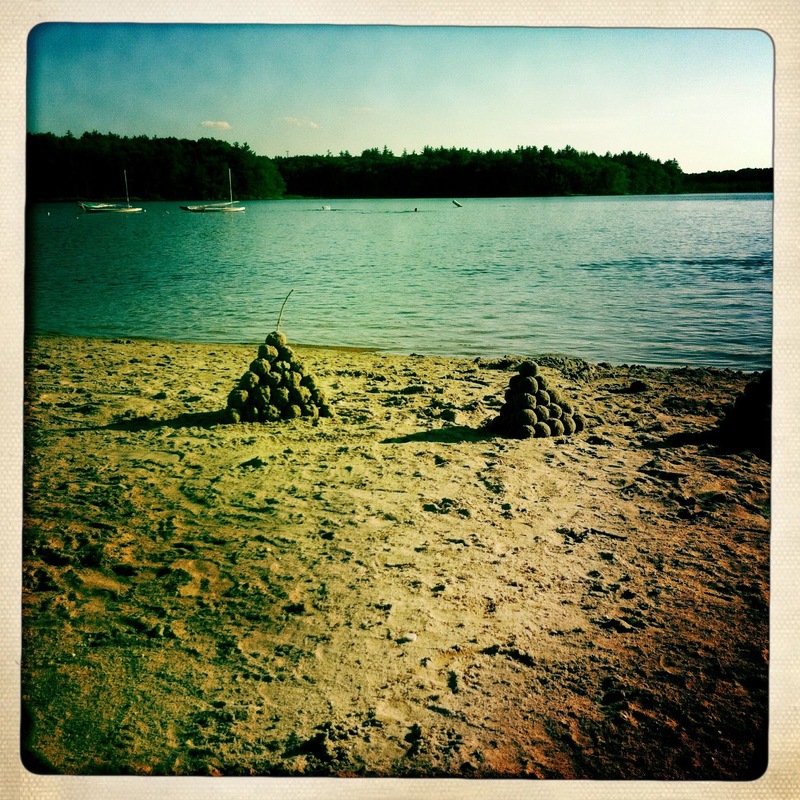 Asked neuroscientists – can we multi task or can’t we? The ability to engage in two tasks at the same time depends entirely on what the tasks are. You can watch a game on TV and watch the Tweet stream about the game. But driving and texting = no. Fear of new technologies – “Technochondria”. We were afraid of trains, we were afraid of phones. Our brains adapt. It’s not evolution. Instead our brains are built to adapt. Research on video games – surgeons who play video games are better surgeons. Epic Win (a game)– you create tasks you need to do with your friends. I need to do my laundry and so do you. Whoever does their laundry first gets more points. To reach the next generation: speak in games, photography. They want to have a conversation. This generation wants to be part of a community. We need to use Facebook, Twitter, Google Plus to communicate with our audience. These are my liveblogged notes from a concurrent session with Dr. Clark Quinn @quinnovator. I'm at the ASTD Tech Knowledge 2013 Conference kicking off today January 29, 2013 in San Jose, California. Apologies for typos and incoherence. What's the least I can do for you? We over design and overdevelop. What's the least I can do to get you over the hump? Don't try to put everything in a mobile world. Focus on 20% of the features tht give you 80% of the value. What tools to develop mobile? They change so fast. And if you don't get the design right it doesn't matter how you implement it. So get the design right and then figure out how to implement it and what tool to use. Prototype, test, refine. Make it iterative. These are my liveblogged notes from a concurrent session with Dr. Michael Allen. I'm at the ASTD Tech Knowledge 2013 Conference kicking off today January 29, 2013 in San Jose, California. Apologies for typos and incoherence. ADDIE (Analysis, Design, Develop, Implement, Evaluate) – it just wasn’t good enough for him. He used to teach ADDIE with confidence. It’s hard to argue. All of the pieces make sense and are defensible and naturally right. ADDIE’s origins – by the armed services when they needed a cookbook to create a lot of instruction fast by people without a lot of instructional knowledge. And it worked. We’re not after perfection, cuz you’ll never arrive there. Perfection is an impossible journey. But we can keep getting closer to the perfect solution. Extreme programming, Agile, etc. is going on in other technical disciplines. They use the same principals of Successive Approximation. Why not ADDIE – too costly and not enough fun. Search for process must consider the desired perfect. ADDIE is too content-centric and not learner-centric. Agile – what are the bigger challenges and opportunities? If the model you uses gives you the quality products you want on time and on budget then stick with it. Products need to meet expectations, achieves performance outcomes (it’s not about knowing), stays within budget, delivers on time, unites the team (builds enthusiasm and has everyone excited about the final project – especially if you’re doing it over and over. If it isn’t fun, then it’s really hard). JIRA – Project Planning Ticketing tool (we use this at Kineo US) great for itemizing all the tasks that needs to be done in sprints. Allen Interactions does a Savvy Start to kickoff meetings. They try for two days (could be 1-3 days depending on the project). Try to get offsite somewhere. They spin through the SAM model as many times as they can in those two days. 1 ½ hour cycles to squeeze out all kinds of interesting information. Ideally, the project owner (the Chief Counsel!) is in the room. What needs to change in their performance? Where do learners go for help now? What delivery means are available? What is the budget? Schedule? Resources are available? Try to get answers to these question before the meeting so you’re just validating them at the savvy start. Get all the ideas out there as quickly as possible. And then mock up something as quickly as possible. Sketching is so important! Sketching is not drawing – it’s about communicating ideas quickly and inexpensively. Sketching invites comments and suggestions. Easy to dispose of and nobody cares. Often the main content idea isn’t discovered until later in the process. As a rule, throw out your first idea and then try something completely different. People like their first ideas and feel wedded to it and proud of it. We need to let go of the first idea. Because almost every time, idea 2 is EVEN BETTER! Three is the magic number of iterations. You get declining return. Two might be enough. Four might be needed. But plan on three. For iteration 3 you can borrow from the other two ideas. Project planning comes AFTER the Savvy Start. Only then do we write a project plan and price it. Agile based approaches can take a little longer than you expect. To keep in time and budget you just stop doing iterations. How do you agree with client on contracting and scheduling? Even with ADDIE there's a lot of strong customer education we have to do. We have to show them that this is a different process. We have to walk them through it and say it's going to be different. We do contracting just for the Savvy Start first. And then they move into full budget. Then they write up a plan and charge for that. And the client could go build that themselves. These are my liveblogged notes from ASTD Tech Knowledge 2013 Opening Keynote kicking off today January 29, 2013 in San Jose, California. Apologies for typos and incoherence. Thinking through organizational change that matters. What is the culture around the production of new technologies? How technology sector has radically changed its way of working. Transformation happening around the boundaries of organizations. We used to think of people working in contained organizations. Young people are saying this makes no sense. In a networked world why would you only talk to people in your org? Why not talk to everyone? Young people assume information flows faster. Where you don’t keep secrets from people who can help you. This is confusing and counter to organizations. Young people find ways of challenging the status quo of how boundaries work. In last 15 years, a shift in how programming happens and how it’s changed the industry. Back in the day you read a book on programming and you followed the rules. And you slowly understood the code through simple implementation. She studied computer science – where they had a formal planning process. How will I use this code in the future? Compiling code took time – you made sure your code was perfect. It was very formalistic. About 10 years ago, the way people coded changed. It didn’t take hours to compile. Young people were taking code from all over the place and shoved it together. And they didn’t know how it worked. Building collages of code. Frankenmonsters of code. This was alien to software engineering. This is not how you’re supposed to code. Now you have ecosystems where people share code (GetHub) – the process of sharing has become part of the process of building. Code is now a social, communal, collaborative process. This practice of sharing has created reorgs in major start ups. You will find co-working spaces – tons of people from competing companies sitting side by side and working together. People who “shouldn’t” be talking together because they work for competing orgs…There are no cubes – open space to encourage conversation. Companies do this because sharing knowledge builds up everyone. This is disruptive! Geeks are really social in term sof engaging in certain activities. They don’t stay at organizations for that long. The average tenure in Silicon Valley is around 3 years. They switch jobs to learn new skills. Because they are highly social networked. A lot of this is happening off hours – outside the core of the workforce. In NY there are “data drinks” – the social networks become the fabric of the tech industry. How do they understand the world of public vs. private. 4chan (the underbelly of the Internet – not for work! A community that creates deeply problematic content – but also fun content. Started by a 15 year old boy). In order to look at 4chan, you can only see what’s on the front page. Once they scroll off the front page, they disappear and are gone forever. He did this because he was in his bedroom and didn’t want his mom to know. It became part of the culture for 4chan. And this is where the meme started – lolcatz. People repost, reown, modify. A culture of pranking and punkstering. Anonymous emerged out of 4chan in response to Scientology. These people are trying to hack the ATTENTION ECONOMY. They mess with the flow of attention in society. They play with the status quo and play with the boundaries of Internet culture. Remix culture – let’s take Monty Python Holy Grail and mix it with Star Wars. Oblivious to copyright, but finding ways to engage and play online. Teenagers on Twitter, Instagram, with millions of followers. They’ve created an ecosystem that exceeds the adults. These teenagers live in a world where they are not let out of the house. So young people are trying to find some place where they have control – where they have control in public. Finding a space where they have some level of power. They see the Internet as their own. We see teenagers going public, but this doesn’t mean they’ve given up their privacy. Privacy is not control of information; it’s the ability to control a social situation. It requires understanding the social situation well enough to control it. Ability to achieve privacy in these spaces. They want to be in public, but to not always be public. “Hiding in plain sight.” Teenagers know that they can’t control the access to the content, but they can control the access to meaning (by using in jokes) – danah shares a story of a teenager of Facebook (whose mom is also on FB and comments a lot in a lame, mom way). So instead of posting the sad song lyrics to show how sad she’s feeling, because she doesn’t want her mom to overreact she posts lyrics to Life of Brian “Always look on the bright side of life.” Her mom thinks she’s having a great day; her friends get the joke and send her txt messages. So how do we think about the 21st century? Loose ties that get reinforced. People making sense of a networked public. This is a radical shift. 15-20 years ago we organized by groups….now we’re organizing through networks. Success in today’s workforce is about being networked in a way that makes sense. How do you build relationships that help you sustain the right kinds of connections? In traditional higher-ed, the elite college in the US – not a place to learn skills. Professors give horrible lectures on esoteric subjects. They teach so they can do their research. Why people go to those institutions is really about social networking. Negotiating the dynamics of the dorm room – you start to build relationships that help sustain the elite connections of our country. But this has gotten messier now with social media. Young people find their network of people like them even before they get on campus. So they’re rebuilding homogeny. This is dangerous as a long term practice. We see people on social networks connected with people who are MOST LIKE THEM. On LinkedIn you see this. Google’s application form you fill out all the people you already know at Google. They are asking “are you like us?” Because they might stay longer with them, too. People recommend people who are like them. So we are reinforcing homogeneity. We need to train people about thinking how DIVERSE their networks are. Start up networks in the late 90s – they got to know each other but no reach beyond their world. We see certain industries contract…how do you take your skills and apply them to a new sector, outside of your field? As new educational technologies are coming into your landscape – MOOC, automated instruction. Making learning more accessible to a larger group of people. But we lose the ability to build networks. When you’re learning together you’re building relationships. As you build skills, how to you build social networks and relationships? Kids who live at home in college – we’re losing the weaving of networks and connections. When we see young people experiementing with networks – we want to encourage them. Help people connect with networks. And yet young people are told not to meet strangers. We need to meet people who are NOT LIKE YOU in order to build and learn. Building out relationships through social networking is not just an HR issue – it’s connected to your ability to become a lifelong learner. Exposing people to other people who know what they don’t know. Grow your networks to expose you to possibilities. How to help people build skills and make connections? We may need disruption to help grow things (e.g., outsiders coming into your organization). How do we prepare learners for the skills of the future, but also how do we prepare them to engage with the ecosystem? Mobility – teenagers have very little control over their time. Mobile phones don’t give them mobility (because their lives are so scheduled), but it provides interstitial connection. Provides social grooming – they’re saying nothing, but maintaining a meaningful relationship because they can’t be together (“hi. What are you doing.” “nothing” etc.) Kids aren’t allowed to run around time anymore. You’re reliant on your parents to drive you around. Even if you’re allowed out, your friends probably aren’t. So teenagers are more organized around PCs or mobile phones. Go through your Twitter list and see who you’re following. And then go out there and find someone who is radically different than you. Make sure your network on twitter is full of different voices. It shapes how we think, keep it broad. Diversity within workforces – more diverse teams outperform less diverse teams. More diverse teams perceive themselves to be underperforming homogenous teams. AND they perceive themselves to be less happy. So how do you explode out diversity, even when it makes you uncomfortable. Strategies to help your employees move beyond their network? (The woman who asks this question works in tech sector and says her org hires people from same colleges/universities – so her challenge is to help them broaden their network). Idea: Here are a list of people on Twitter to follow that are ALL different. Coding Freedom http://www.amazon.com/Coding-Freedom-Ethics-Aesthetics-Hacking/dp/0691144613 – a book about the hyperindividualistic culture of programmers and open source software – the tension. How do we incentivize people collectively vs. individualization? Can you get a team to buy in to be collectively evaluated? Tired old elearning? Want some ideas? Free Webinar! Join me this Tuesday, January 22 at 1:00 eastern for a free webinar hosted by Training Industry and Brainshark. I'll share some tips and strategies for spicing up your eLearning designs - simple tips for better writing and more thoughtful interaction that don't have to blow your budget. So we've wrapped up 2012 with a few ribbons and bows and have sent it on its way. It was a big year. Our Kineo US team has continued to grow and flourish. While I still work out of my home office in the Boston area, our office in downtown Chicago now boasts a full host of project managers, instructional designers, ace graphic artists, top notch developers, our Totara LMS support team, as well as marketing and support personnel. It's an exciting journey and I'm proud to be part of the Kineo family. So what did I learn from all that? Well, keep on keeping on. Virtual working is great, but it's also really wonderful to hang out in the office with my team mates. Of course, none of that growth is possible without our growing and amazing client list. I've had the opportunity to work on a huge range of projects this year, from virtual classrooms to leadership academies. And what could have been a boring course on information security won a Brandon Hall Gold Award for Compliance Training. Just a little proud of our team! So what did I learn from all that? Well, that learning and development always provides something new to learn. New technologies, new approaches. There's really no getting static in this field unless you just stop trying. Going to industry conferences is where it's at as far as I'm concerned. I love connecting and learning and breathing learning stuff with really smart people. This year was no let down. The year started off with me wrapping up my stint as the planning committee chairperson for ASTD TechKnowledge 12. I was this close to doing onstage karaoke in front of the entire TK crowd -- it's hard not to let Vegas get into your soul. You can see the proof here. 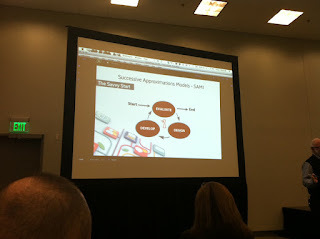 In March, I ran a pre-conference session at the eLearning Guild's Learning Solutions called The Accidental Instructional Designer. Loved, loved, loved that. So much, in fact, that I'll be doing it again this March! I helped facilitate two ASTD Learn Now Conferences -- one in April and the other in July -- where we focused on real application of social, mobile, and performance support. Working closely with Justin Brusino, Bob Mosher, Conrad Gottfredson and Chad Udell -- amazing! At DevLearn in November, I had a great time with my session: Putting the Design Back in Instructional Design. This session had me out of my comfort zone -- I was reading and researching it for the six months leading up to it. How's that for some informal learning with a clear goal in mind? I appeared in actual paper print this year for my first time with an article published in ASTD's T&D Magazine. As much online blogging and writing as I've done in the past 7 years, it was still a thrill to see my words in an actual magazine. Not only that, but I got interviewed for an article on training that appeared in Delta Sky Magazine. You know, an inflight magazine that you randomly read while enroute from O'Hare to SFO or something. Weird, right? In print and in the air! (This is where people can start making jokes about the mile high club or something). 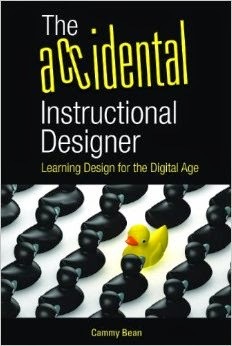 My article, The Accidental Instructional Designer, appeared on the Learning Solutions site in January. OK -- it's not a paper magazine, but I think it's one of the best industry news sources out there so I was thrilled just the same. My blog has suffered a bit this year as my writing has ended up elsewhere. But be sure to check out Kineo Top Tips to which I'm a regular contributor. So what did I learn from all that? Well, that people actually like to read what I write. And that I really love it. And that I just need to keep on writing...I've got quite a few unfinished articles and ideas floating around that I need to pull together and get out there. It's like giving birth sometimes. And also like releasing an idea into the wild. I used to be a competitive swimmer, so getting back in the water to race brings back strange feelings for me. So what did I learn from all that? Well, exercise really does make me feel better. And that sometimes you can just decide to do it--and then you go ahead and do it. Big news for those of us who proudly fly the Kineo banner! We're now thrilled to be a part of City & Guilds, a UK force for 130 years with a focus on vocational training and support for employers all over the globe. As part of City & Guilds, our goal: "to become the global workplace learning company." You can read more about our acquisitions on our website. So what did I learn from all that? This one is still new so haven't had much time to absorb. But I think it's that exciting alliances can come from unexpected places! So what's up for 2013? I'll be speaking at loads of conferences, with ASTD TK 13, Learning Solutions, and ASTD ICE coming ahead in the nearer future. Hoping to write more, more, more. Hoping to push myself more, more, more. Thanks for being with me in 2012 and looking forward to more more more in 2013!